Four Capital players have been called into the Scotland Under-21 squad which will face Mexico and Sweden in friendly matches in Marbella later this month. 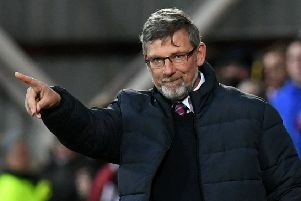 Hearts duo Jamie Brandon and Callumn Morrison will join Hibs pair Oli Shaw and Sean Mackie in the 22-man squad for the squad’s first matches of 2019 as they begin their preparations for their European Championship qualifier against San Marino later in the year. Full-back Brandon and the versatile Mackie receive their first call-ups while winger Morrison will hope to make his first appearance after being denied his debut by injury last October. Hibs striker Shaw will be hoping to win his third Under-21 cap. Scotland: Doohan (Ayr United),Robby McCrorie (Morton), Brandon (Hearts), Harvie (Ayr United), Johnston (Liverpool), Mackie (Hibs), Maguire (Queen of the South), Ross McCrorie (Rangers), Reading (Middlesbrough), Wilson (Queen of the South), Campbell (Motherwell), Ferguson (Aberdeen), Holsgrove (Reading), McLennan (Aberdeen), Miller (Ayr United), Morrison (Hearts), Turnbull (Motherwell), Hastie (Motherwell), Hornby (Everton), House (Swindon Town), Johnston (Celtic), Shaw (Hibs). • Hearts midfielder Harry Cochrane has been included in the Scotland Under-19 squad for the Elite Round stage of European qualifying.